Nigeria’s politics is sliding dangerously towards violence before, during and after the February 2015 elections. With only three months to the polls, mitigating bloodshed requires urgent improvements in security and electoral arrangements, as well as in political mindsets. Nigeria’s February 2015 general elections, essentially between the ruling People’s Democratic Party (PDP) and the opposition All Progressives Congress (APC), will be a fierce contest. The Boko Haram insurgency, competing claims to the presidency between the majority Muslim north and majority Christian south, inadequate electoral arrangements and apparent bias by security agencies all point toward a very perilous contest whose results may also be disputed. In its latest report, Nigeria’s Dangerous 2015 Elections: Limiting the Violence, the International Crisis Group examines the volatile environment in which electoral preparations are taking place and outlines measures that need to be taken urgently to curb the looming violence. The electoral environment is highly destabilised by insecurity, particularly in the North East. The federal government must strengthen its security apparatus; work closely with relevant state governments toward achieving better results from its counter-insurgency operations; collaborate much more effectively with neighbouring countries, bilaterally and through regional platforms, and ensure elections are held in all states. 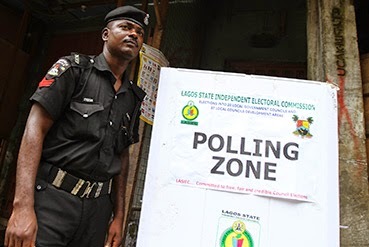 Preparations for the elections suffer from a deficient legal framework and lack of confidence in the Independent National Electoral Commission (INEC) and the security agencies. The National Assembly needs to prioritise amendment of the electoral law, particularly establishing an election offences tribunal. INEC needs to build confidence, including by speedily producing a credible voter register. Security agencies need to demonstrate neutrality in their relations with all parties. Leaders of political parties and of regional, ethnic and religious “pressure groups” are significantly influencing electoral preparations and voters’ expectations of their outcomes. Party leaders and candidates should comply with the code of conduct their parties signed voluntarily and hold their supporters accountable to its provisions. Regional, ethnic and religious leaders must also refrain from inflammatory rhetoric and ensure their followers pursue their political aspirations peacefully. Nigeria’s international partners should engage all major political actors toward preventing or mitigating violence before, during and especially after the polls. “Boko Haram’s insurgency makes these elections particularly fraught, but it is only a microcosm of the country’s deepening political, religious and ethnic divides” says Nnamdi Obasi, Nigeria Senior Analyst. “With only three months to the polls, a sense of urgency is more than ever imperative, particularly on the part of the government and the election-management and security agencies”. “As Africa’s most populous country and largest economy, Nigeria would pose a very real security threat if it were destabilised by election violence”, says EJ Hogendoorn, Africa Program Deputy Director. “Salvaging the situation requires concerted efforts by all national actors and international partners”.